Click HERE to download the guide (in pdf) that explains how to buy in our shop. 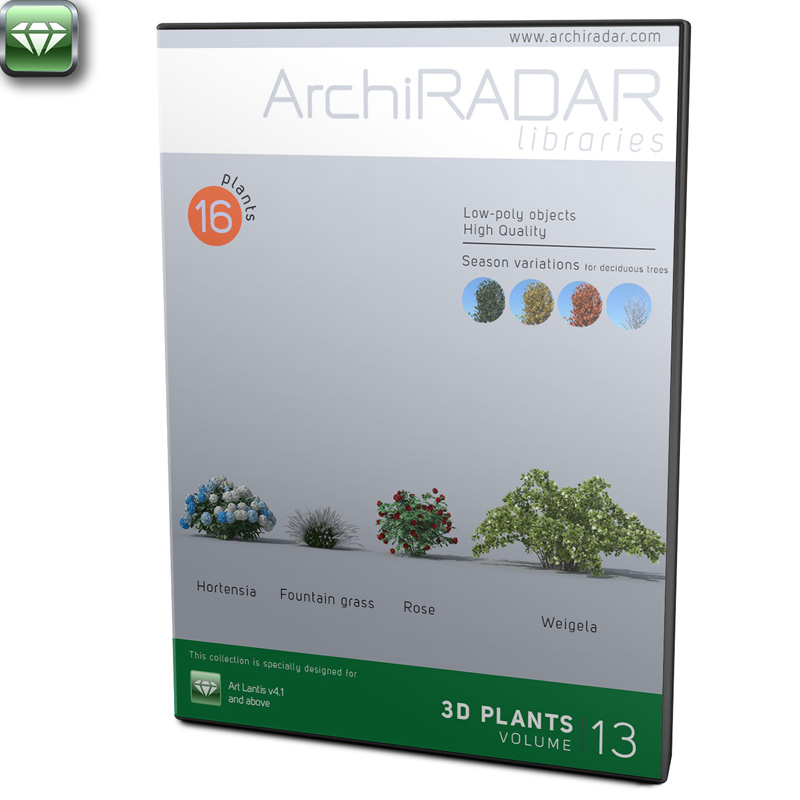 Highly detailed 3d models of plants with all textures, shaders and materials. These models have 3d-scanned trunk which make it more photo-realistic than ever and perfect for closed-up views. They are ready to use, just put they into your scene. 16 3D plants, in AOF e ATLO formats, compatibles with Artlantis 4.1 or higher. The models (not evergreen) are in 4 different season variations: spring, autumn, winter and bare tree (skeletal tree). Therefore, the package includes a total of 52 models. The 3D plants have high quality of detail, but at the same time they are very light. To give you an example: 100 models placed in a scene requiring 7/10 minutes for rendering (depending on your computer). HERE you can download a pdf to see the contents of this collection.